Aerial Yoga is a wonderful mix of playful way to explore yoga and fitness. It will improve body strength and flexibility fast and allow you to go deeper into stretches that you may have not been able to in mat yoga. With the assistance of a (low-slung) hammock you will experience the joy of being weightless, taking pressure off your spine, neck and joints, and allowing you to use gravity to achieve new stretches. Aerial Yoga is particularly freeing and healing for your spine and limbs and a highly effective way to work your core, strengthen arms and tone legs. I have been teaching aerial yoga for the past two years and have loved it! I will guide you through this new style of zen at a good pace so that you feel safe and relaxed as well as making sure you having a lot of fun! 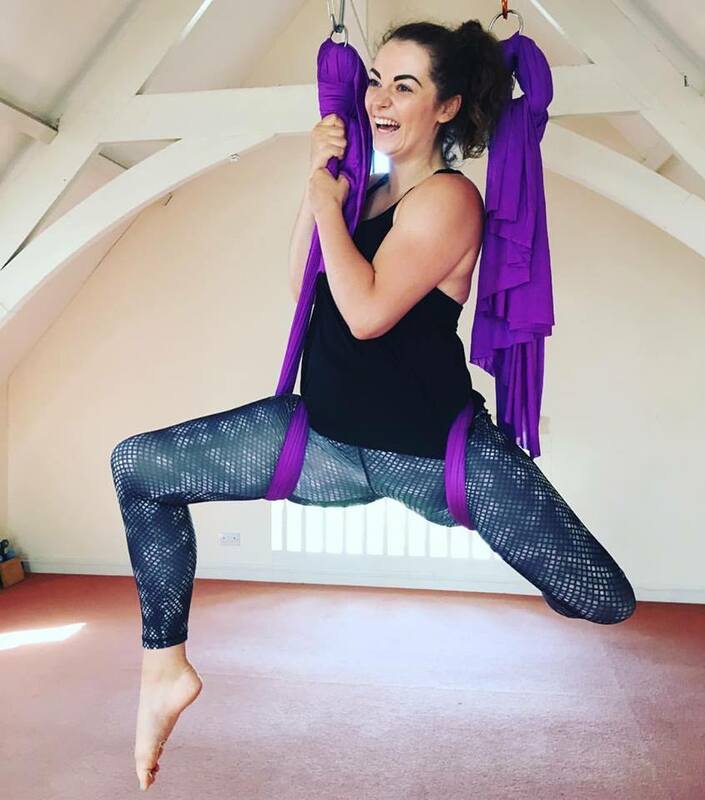 Aerial Yoga Introduction Sessions and Aerial Yoga Beginner Courses @ Revitalize Studios, Topsham. Organise a group session! Perfect for birthday parties, hen/stag parties, work events or to just have a great time with friends! Cost: £15 each. Up to 6 people!